Previous article mentioned American entertainer, Robert Downey Jr., loves Wing Chun. (Please refer to the article in this blog –“ Wing Chun” Tattoo) Downey would even bring his Sifu out to his filming location to train Wing Chun with him. In this part of the world, though, most of the actors and actresses practice Wing Chun, usually for very short amount of time, for the sake of making movies or TV programs. Finally, an actor seems to find the love for Wing Chun. This person is the famous Hong Kong actor, Nicolas Tse. Nicolas Tse has been training hard under the guidance of Wong Shun Leung system Sisuk (Kung Fu uncle) Philip Ng, who is also an actor in Hong Kong . Sisuk Ng’s father is a master of Choy Lat Fat, so he has trained this art since he was little. 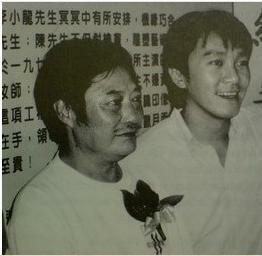 Later on, he followed Sigung Wong to train in Wing Chun. From the training video clip below, Nicolas Tse’s Chi Sao already has the flavor of Wong Shun Leung Wing Chun. Another famous Hong Kong actor, Stephen Chow, from the movie “Shaolin Soccer” trained in Wing Chun briefly under Sigung Wong. The reason he wanted to learn Wing Chun was due to Bruce Lee was his idol and he knew Wing Chun was the martial art that Bruce Lee trained formally. Unfortunately, Chow had to stop his training after three months, because he was still in school and ran out of money at that time. 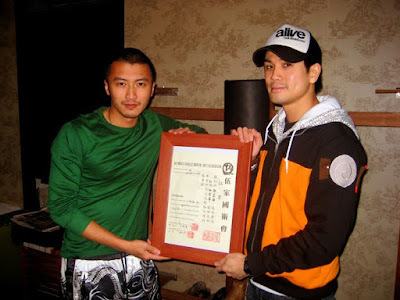 When he was asked about his time training at Wong Shun Leung's Wing Chun school, he said: “I was very happy there, those three months was an extremely happy period for me." When I was writing this article, I stumbled across an article written by Philip Ng. The title of th article is ”Master of Big Screen Mayhem”, It contains an interview with Stephen Chow. Personally, I found it very interested. For those who are interested in Wong Shun Leung Wing Chun, some parts of the article even have a historical value. I highly recommend people to spend few minutes to read the article.